Biblical womanhood. It's something we are passionate about here at Bloom!. The next few weeks we are going to spend delving more into Biblical womanhood and what it really means for us as followers of Christ. There is a reason that we put "Biblical" in there with "womanhood" in our motto. We could've just simply left it at "Encouraging girls on their journey towards womanhood", but that wouldn't fully capture the heart of Bloom!. You see, our heart is for you girls - young and old - to learn, grow, and thrive as you are on this journey of womanhood - Jesus' way. This means that we reject the world's misconceptions and instead follow the King's ways. You have probably seen her before. She is primly dressed in one of those tent-like dresses, covered from head-to-toe in an ugly fabric. She sits all day reading her Bible and grimly quoting Scriptures. People would say that she is a good Bible memorizer, but doesn’t know how to appropriately live out what she is speaking. She cowers in the corner, afraid and weary. She is told by others that the Bible says that she must submit to her authority. The problem is, she and her authority don’t understand the real meaning of this “submission” word. That being the case, she is instead treated almost like a servant, being forced to “submit” to everything whim from her authority. This particular misconception is touted around in our day by both non-believers and believers. They say that the woman is lower than the man, that she is not equal with him. They say that because of this, she must “submit” (like “the submitter”) to every man. 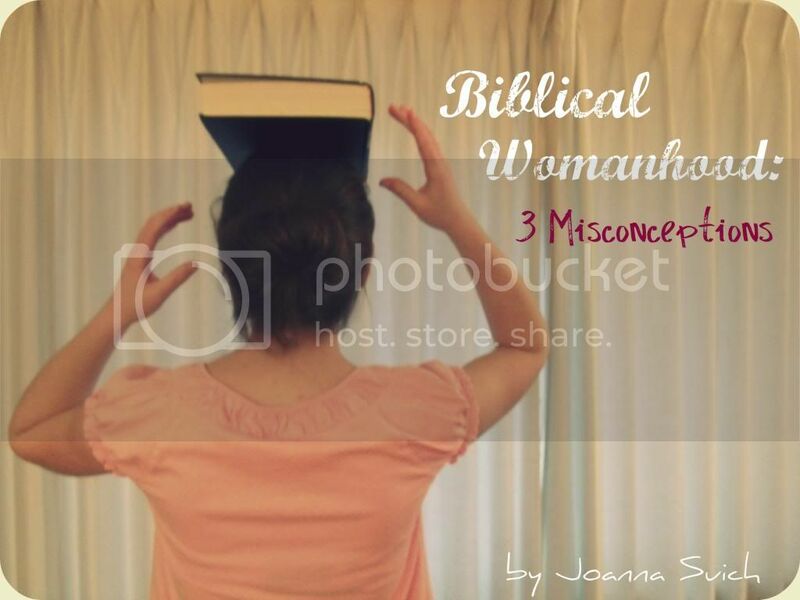 There are many more misconceptions about Biblical womanhood and what it means, but these are just three of them that we have chosen to focus on and learn more about. Check back soon for our first post on Misconception #1. We pray that these posts will be a blessing and encouragement to you as you journey towards Biblical womanhood! Ooh, I am excited to hear more! I liked this list of misconceptions, sadly all of them too familiar. We paint a picture of what we suppose biblical femininity is instead of building ourselves around the actual life-giving word. I'm not always able to comment, but I'm always inspired by Bloom! It has truly and deeply contributed to my walk with Christ.